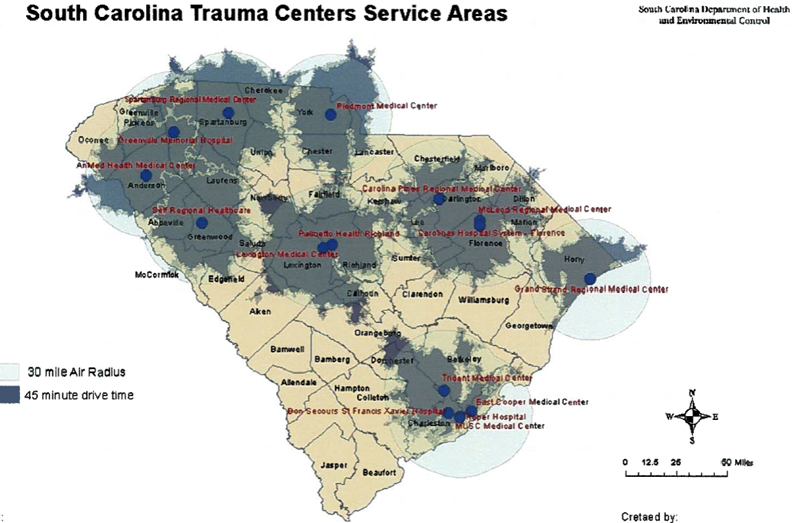 View a printable PDF map of SC Trauma Center locations. The map includes air mile coverage as well as Trauma Level designation. Review the DHEC overview of EMS Trauma Programs. Included is the current laws and regulations governing SC Emergency Medical Services. Here is the structured trauma data element definitions, inclusion and exclusion registry criteria, and an overview of South Carolina’s trauma system.